In this talk, I discuss the application of relational event models (REMs) to the analysis of time-stamped interactions in both small and large populations (Butts, 2008). The relational event framework provides a flexible capacity to model an unfolding sequence of interactions as a function of cognitive, behavioural, social and other contextual processes. In this framework, the prior history of learning-related interactions creates the context for future learning interactions and leads to differential propensities for the occurrence of specific future interactions (Butts, 2008). In practice, the history of interactions is represented by indicators of relevant exogenous and endogenous influences, with the latter informed by the now extensive body of work on modelling social networks as the outcome of endogenous â€˜localâ€™ network processes (e.g. Snijders et al, 2006; Pattison & Snijders, 2013). Here we review this framework and its application, and present two distinctive applications: interactions among cattle and learning interactions in MOOCs. Prof Pip Pattison is Deputy Vice-Chancellor (Education), University of Sydney. As DVC (Education), Pip is responsible for the Universityâ€™s strategy and vision for teaching and learning and studentsâ€™ educational experience. She oversees institution-wide development of better support for student learning, including the Universityâ€™s approach to curriculum renewal, new thinking in pedagogy, learning and teaching analytics, e-learning and quality assurance for learning and teaching. Pip is a quantitative psychologist by background, whose primary focus of research is the development and application of mathematical and statistical models for social networks and network processes. Her work has broad application and has most recently focussed on the transmission of infectious diseases and the recovery of communities following the 2009 Victorian bushfires. Meeyoung Cha is an associate professor at Graduate School of Culture Technology in KAIST. Her research interests are in the analysis of complex network systems including online social networks with emphasis the spread of information, moods, and user influence. She received the best paper awards at ACM IMC 2007 for analyzing long-tail videos in YouTube and at ICWSM 2012 for studying social conventions in Twitter. Her research has been published in leading journals and conferences including PLoS One, Information Sciences, IJCAI, WWW, and ICWSM, and has been featured at the popular media outlets including the New York Times websites, Harvard Business Reviewâ€™s research blog, the Washington Post, the New Scientist. Dr. Cha has worked at Facebook's Data Science Team as a Visiting Professor for a year. Unprecedentedly more and more AI applications are enabled by network analysis and mining. Many new algorithms have been proposed, partly by academic research, and are adopted actively by industry. Those algorithms extract knowledge at the macro and micro levels. When applying those algorithms to problems in practice, a series of challenges ranging from algorithms to systems need to be addressed. In this talk, I will conduct a random walk and present a few anecdotes about related topics on algorithm and system aspects and from academia and industry angles, such as implementability of network analysis algorithms, building industry scale cloud-based graph computing engines, integration and exchange of graph data, and driving business actions using network analysis and mining. Jian Pei is a Canada Research Chair (Tier 1) in Big Data Science and a Professor in the School of Computing Science at Simon Fraser University. He is also an associate member of the Department of Statistics and Actuarial Science, Faculty of Science, and Faculty of Health Sciences. During his current sabbatical leave, he is acting as the Chief Data Scientist and a Technical VP of Huawei Technologies. He is a well known leading researcher in the general areas of data science, big data, data mining, and database systems. His expertise is on developing effective and efficient data analysis techniques for novel data intensive applications. At the same time, he is also renowned for his professional leadership. He is one of the most cited authors in data mining, database systems, and information retrieval. Since 2000, he, with H-index 73, has published one textbook, two monographs and over 200 research papers in refereed journals and conferences, which have been cited by more than 67,000 in literature. His research has generated remarkable impact substantially beyond academia. For example, his algorithms have been adopted by industry in production and by popular open source software suites. He is the recipient of several prestigious awards, such as the IEEE ICDM Research Contributions Award and the ACM SIGKDD Service Award. He is an ACM Fellow and an IEEE Fellow. With the rapid development of positioning, sensing and social networking technologies, large quantities of human behavioral data are now readily available. They reflect various aspects of human mobility and activities in the physical world. The availability of this data presents an unprecedented opportunity to gain an in depth understanding of users. In this talk, I will first introduce why understanding user demographic and personality attributes is important for building intelligent bots. Then I will show the predictive power of human mobility data for inferring usersâ€™ demographics. Afterwards I will present our work on understanding different types of user personality traits based on heterogeneous user data. Finally, I will describe the application of our technologies in Microsoft XiaoIce, on profiling XiaoIce users, recommendation in conversations, and personalized conversation generation. Dr. Xing Xie is currently a senior research manager in Microsoft Research Asia, and a guest Ph.D. advisor for the University of Science and Technology of China. He received his B.S. and Ph.D. degrees in Computer Science from the University of Science and Technology of China in 1996 and 2001, respectively. He joined Microsoft Research Asia in July 2001, working on data mining, social computing and ubiquitous computing. During the past years, he has published over 200 referred journal and conference papers. He has more than 50 patents filed or granted. He has been invited to give keynote speeches at MobiQuitous 2016, SocInfo 2015, Socialinformatics 2015, GbR 2015, W2GIS 2011, HotDB 2012, SRSM 2012, etc. He currently serves on the editorial boards of ACM Transactions on Intelligent Systems and Technology (TIST), Proceedings of the ACM on Interactive, Mobile, Wearable and Ubiquitous Technologies (IMWUT), Springer GeoInformatica, Elsevier Pervasive and Mobile Computing. In recent years, he was involved in the program or organizing committees of over 70 conferences and workshops. 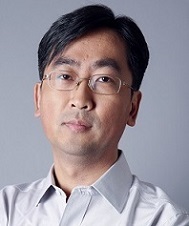 Especially, he served as program co-chair of ACM Ubicomp 2011, the 8th Chinese Pervasive Computing Conference (PCC 2012) and the 12th International Conference on Ubiquitous Intelligence and Computing (UIC 2015). In Oct. 2009, he founded the SIGSPATIAL China chapter which was the first regional chapter of ACM SIGSPATIAL. He is a senior member of ACM and IEEE, and a distinguished member of China Computer Federation (CCF).